1. How experienced are you in IT Training? We have a number of experienced trainers who have around ten years of experience in industrial IT Training and supporting services. We continually provide excellent IT Training & Support services to individuals and corporate clients. 2. Are you classroom-based or is the training online? 3. 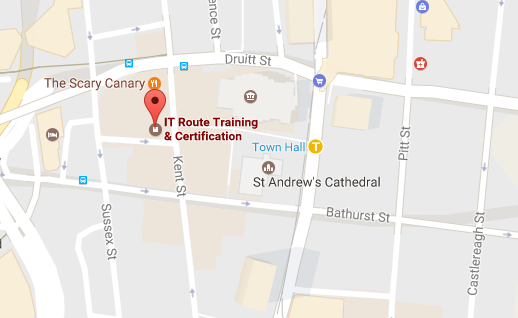 Why should I do my training at IT Route? 4. How often do you run the course? 5. Who is your trainer or how experienced are they? 6. How can I get certified & how does the exam process work? Once you enrol for a course, you need to follow our class structure which combines Lectures and Labs.Once you finish your Course we will guide you through the exam process followed by practice test. 7. How can you provide Guarantee to pass the certification exam? 8. How are you different from others? 9. How reliable/Successful you are? 10. Do you have any discounts? 12. What’s your course price cover? 13. Are you an Authorised Certification Exam Centre ?